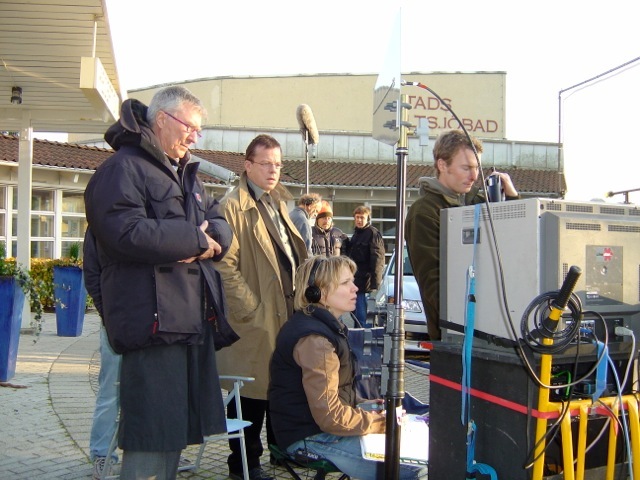 In 2006 I worked on an episode of the Swedish TV version of Wallander, playing an American professor suspected of killing his wife. (Meredith couldn’t resist a visit to the set!). It was an entirely enjoyable experience working with a fine cast and crew in Ystad on the southern tip of Sweden where the stories are set. No hint was given in our episode that Kurt Wallander (played definitively by Krister Henriksson) was diabetic. Perhaps the production company decided not to go down that road. A pity in my view. I’m reading The Troubled Man at the moment–the last in the nine-book series. It is as much a character study of his vulnerable and flawed detective as a thriller–an absorbing read. Wallander is in his early sixties, divorced, living alone and full of foreboding and gloom about his future. He doesn’t take care of his diabetes, which is Type 1. He’s overweight, eats haphazardly and takes little exercise. At one point in the novel he has a hypo (hypoglycemic–low blood sugar–blackout) and nearly dies. He’s discovered naked and unconscious in the shower by his daughter, also a police officer, worried when she is unable to reach him by phone. She has recently given birth to his first grandchild and is keen that he lives long enough to know his granddaughter and vice-versa. Shocked into action by his narrow escape, he starts to take more care of his condition. Henning Mankell doesn’t elaborate further on the condition, but saddling his main character with this disease of-the-moment works well and stealthily provides readers with helpful information, even if that wasn’t the author’s intention. being wired for sound just before making a run for it! For the record–my character is arrested, after a car chase, on the Oresund Bridge that links Denmark and Sweden. you doing a good job there to. I think you and Henriksson are friends today….. Thanks, Per–he’s a lovely fella. I saw that episode was good, I remember looking at the screen and saying “Is that Robin Ellis”? Wallender was a great series I also saw the final episodes where he was diagnosed with diabetes, it was handled very well. Morse also had diabetes with poor glucose control and an unhealthy lifestyle. All great books. World Diabetes day is the 14th November. Thanks for telling me about Morse, Nora. on November 5, 2013 at 10:31 pm | Reply Dianne P.
The Swedish Wallander with the episode “Fotografen” can be bought from http://www.discshop.se, http://www.discshop.se/filmer/dvd/wallander_box_2_4_disc/P56759. It is included in Box 2 and have English subtitles. Would love to hear you with an American accent Robin. Remember, it’s “erbs” not “herbs”. Why I wonder is it ‘erbs and yet not ‘orses..! HA! or should I say A! I think it was Churchill that said England and America are separated by a common language. I was really thrilled you did that episode. My favourite scene is when your character and Wallander is sitting having a private chat talking about his daughter Linda among other things. It was fantastic to see my two favourite actors in a scene like that. 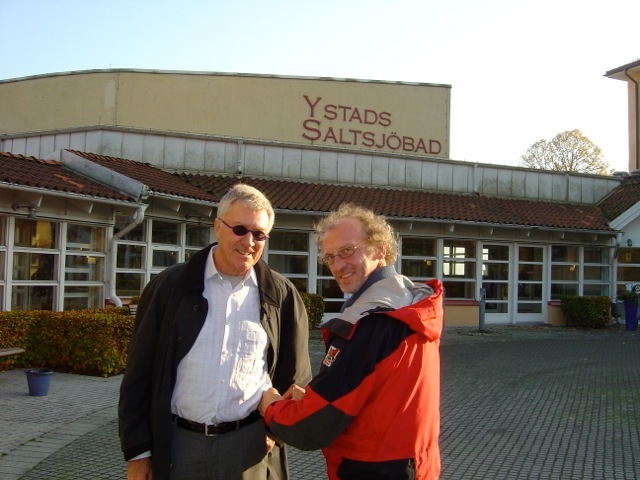 Krister is one of Sweden´s very best actors and I have seen every episode of Wallander ever made here and I have also read the books, which are fab. Hope you come back to Sweden and do more work! Thanks Camilla–that scene was improvised and in the end I enjoyed it though it was a little nerve wracking! I’d love to work in Sweden again. Wow, I didn´t know my favourite scene was improvised! Now I am even more impressed. You actors are really brave. Really pleased to hear you would love to come back and do more work here.Thanks!! I will try to find the Swedish version, as I’ve only seen the Kenneth Branagh ones. I love the books because Wallender is the most realistic detective I’ve found. So believable. I look forward to seeing you get arrested!!! Les, try you tube or if you have Netflix the Swedish Wallander is there. Robin, That is a great post. I enjoyed reading about your role and about the ‘behind the scenes’ regarding Diabetes. People who don’t have diabetes don’t know how complicated and time-consuming it is. Maybe this episode will go a little way to educate non-diabetics! So you work in Wallanger serie? I have seen it and I wasn´t aware ot that….oh my Good, incredible. authors now for me, even his life in Mozanbique it is an example. I am going to see the Wallanger´s chapter once again to see my dear Robin Ellis work in the tv. serial.